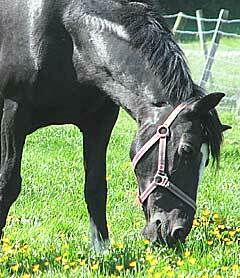 B-vitamins play a vital part in the metabolism of a horse or pony's energy. They are a group of vitamins which are water soluble and are needed by a horse for the metabolism of nutrients. An injectable prescription B vitamin complex for horses usually contains thiamine, cyanocobalamin, niacinamide, riboflavin, pyridoxine and d-panthenol.